No matter whether you're overcome with stress, frustration, aggravation, anxiety, boredom, or you accidentally turned on cable news, then you're gonna need this cool new Giant Stress Ball. 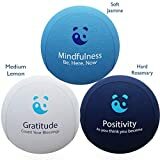 Forget one-handed stress balls, because in this modern age of daily general chaos, global disasters, political hand-wringing, endless worrying about everyone else's problems, achieving social media perfection, waiting for WWIII, protesting just about anything, finding things to be offended by, losing a fidget spinner, and on and on and on, then you're going to need a gigantic two-handed stress ball. 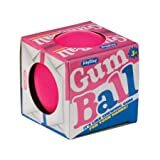 Simply squeeze, stretch, pinch, knead, and furiously pound on this soft oversized stress ball and you might just find some kind of momentary tranquility in your life. Hmm, now I feel stressed.